Westgate's testing days for PSAT and SAT are on April 9th and 10th. ONLY 11th graders will be permitted onsite at Westgate on April 9th. And ONLY 9th and 10th graders will be permitted onsite at Westgate on April 10th. Clicking on the headline will link you to more information. There will be no regular high school classes on April 9th or April 10th. April 9th will be SAT testing day. All 11th graders will need to inform their college professors that they will not be in attendance on April 9th. 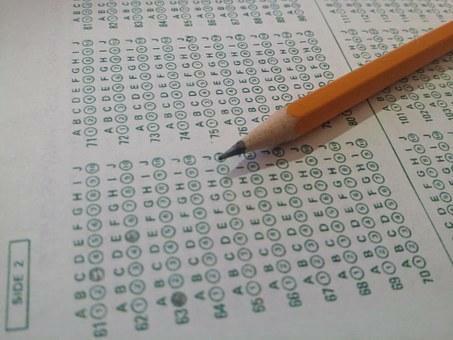 April 10th will be PSAT 9 and PSAT 10 testing day. All 9th and 10th graders will need to inform their college professors that they will not be in attendance on April 10th. The bus to and from FRCC will be running on both days. Please know, though, that NO HIGH SCHOOL STUDENTS will be permitted into the building unless they are testing. The school building will be open to students testing as early as 7:40, so we can get students checked in and set for their testing as soon as possible. Our projected time to start the assessment is at 8:00. Please make sure your student is here as early as possible and is not late on test day. Once testing has started, no students will be permitted to the testing area and students will need to go home. There is no scheduled time for lunch. This is the regulation put up by CollegeBoard. Students are permitted to bring snacks and water bottles. If students are not picked up on time, students will be sent off campus. No supervision will be provided for these students when testing is over. If students have cell phones, smart watches, or any other personal belongings not listed above, they will be taken during the testing time and kept with a monitor. Students will not have access to their personal belongings while testing is happening. I recommend not bring anything than the necessary items to school.